The Vaults is an exciting new West End Venue. Located under Waterloo Station, this theatre is composed of multiple rooms and halls and boasts immersive, and innovative theatre experiences. 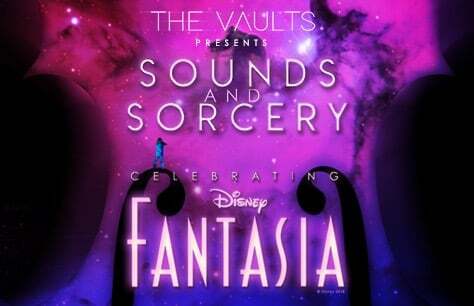 A new, immersive music concert experience, inspired by Disney Fantasia. Ticketholders for this event will be given headphones and a device upon arrival. The device will play the correct music as you make your way through the experience. You will also be able to interact with the device to determine your own experience. You will be able to move through the experience at your own pace, most guests take 90 minutes to hear and experience everything. Children under 3 will be admitted but they will not be given headphones and they must walk or be carried - no pushchairs can be inside the experience.